While modern society’s wine tastes run dry, with dry white and red wines attracting the most attention and recording the biggest sales, it was sweet wines that were important throughout much of history. In fact, the first wine ever made by human beings was sweet, not dry. Clearly, the haphazard vinification techniques commonplace in antiquity and the lack of knowledge about the fermentation process meant that much wine, if not all, was inevitably the product of stuck fermentations. In other words, not all the sugar was fermented into alcohol, and so the resulting wines were heavily characterized by varying doses of residual sugar. Back then, sweet wines were also a social and cultural reality. In fact, sweet wines were considered luxury goods already in antiquity, worthy of the nobility and the wealthy, and fetched the highest prices. Not by accident, their production was especially strong near ports (by the seasides, harbors and major internal waterways), as these wines were the object of much trade. A look at the history of sweet wines reveals an extraordinary legacy that stretches back into antiquity. The Hittites, one of the world’s most ancient civilizations, lived from roughly the 17th century BC to the 11th century BC. Their empire was one of the largest and most powerful in ancient times. Wine was so important they passed laws with stiff penalties on those who damaged vineyards. Offering sweet wines to anyone was a privilege of the priest-king (the origin of the word ‘vine’ in Hittite stems from ‘stick of the Bacchants’, underscoring the sacred nature of the beverage and its use). Wine was also important for the Sumerians, who inhabited southernmost part of Mesopotamia, an area roughly equivalent to parts of modern-day Iraq and Kuwait, from approximately 4500-1900 BC. Sumerian pictograms show grapes ripened by the sun and raisins associated with what was most likely sweet wine stored in pointy amphoras. Research shows that in 1500 BC a vineyard (kaenkeme) in the Nile delta was used to produce a wine ‘sweeter than honey’. Sweet wine played a big role in ancient Greek culture too. For example, community leaders believed the best way to foster a relationship with strangers or foreigners (philoxenia, or ‘the love of hospitality’ or the ‘art of hospitality’) was through the use of sweet wine. In the Odyssey, Homer writes that Ulysses got Polyphemus drunk by offering him a black, sweet wine. During Ancient Egypt’s New Empire (16th century BC-11th century BC), it was common to concentrate wine via the use of heat, making it even sweeter. The Egyptians concentrated wine not just because of possible taste preferences but because such wines were able to travel better and sustain longer periods of storage. Not surprisingly, it was in ancient Rome that sweet wines reached their production and marketing zenith. Wines such as Passum (probably first made by the Phoenicians) and Acinaticum (developed later than Passum), both involving air-dried grapes and/or concentration of the must, were some of the most sought after potables of those times. Columella, whose De Re Rustica is the most complete treatise on agriculture to have reached us from Roman times, left detailed instructions on how to make Passum (from sun-dried grapes) and even a lesser lower quality second Passum wine, partly made with the dregs left over after the first pressing. Other famous Roman men of letters such as Horatio, Virgil, Cato the Elder (or the Censor: it’s important to use descriptors to identify Cato to differentiate him from his similarly named great-grandson), and Pliny the Elder all wrote about the production of sweet wines and had some very specific and altogether different ways on how to go about doing so. Techniques included late harvesting grapes by leaving them on the vine after the stalks leading to the berries had been twisted (as described by Palladius) or cut (as preferred by Pliny the Elder). Clearly, all such techniques were meant to interrupt sap flow and let the grapes concentrate their must contents mainly by way of evaporation. Air-drying grapes on straw mats or directly on floors were also much advocated methods by which to increase the sugar content of grapes. In fact, Romans didn’t just want sweeter grapes, but actively sought to make their wines sweeter too. Various must-enrichment techniques involving the cooking of wine and/or the addition of sweetening agents such as honey or figs were in vogue. Must could be concentrated by a quarter to a half of its original volume and then added to other fermenting grape must in various proportions depending on the style of wine one wanted to achieve. Seawater and other additives such as herbs, spices, and tar were also used to enhance the finished wine’s capacity for aging and travel (and to camouflage existing defects, no doubt). Actually, ancient Rome’s sweet tooth was such that different quality levels of must-enrichment sweeteners were available: Defructum (of which there were at least two different types), sapa (cooked fermented must) and mulsum (a much higher quality product, sweetened by the addition of honey) are just some of those that immediately spring to mind, but there were many others. These must-enrichment techniques were spread throughout Europe thanks to Rome’s military prowess and sprawling Empire, and were adopted by conquered tribes. For example, it appears that the Gauls were quick to pick up on these techniques, and used them with their own local grape varieties such as Biturica (apparently, the ancestor of Cabernets). The love for sweet wine continued in later centuries, with 16th and 17th century documents showing how researchers in both France and Italy worked on techniques by which to improve late harvest wines in vintages marred by inclement weather (such as hanging grapes to increase must concentration). Throughout history, it was red sweet wines that were always most important, one reason being wine’s religious associations (red wine better symbolizes the blood of Christ). In fact, white wine’s popularity begins to rise only in the 15th century, as fairer colors become associated with the nobility (for example, white bread was the privilege of nobles, as opposed to the black or dark bread eaten by the peasants). Interestingly, even when more democratic views began to finally prevail, white was still the color of choice of the parsimonious clergy as it was less likely to stain white-clad priests. 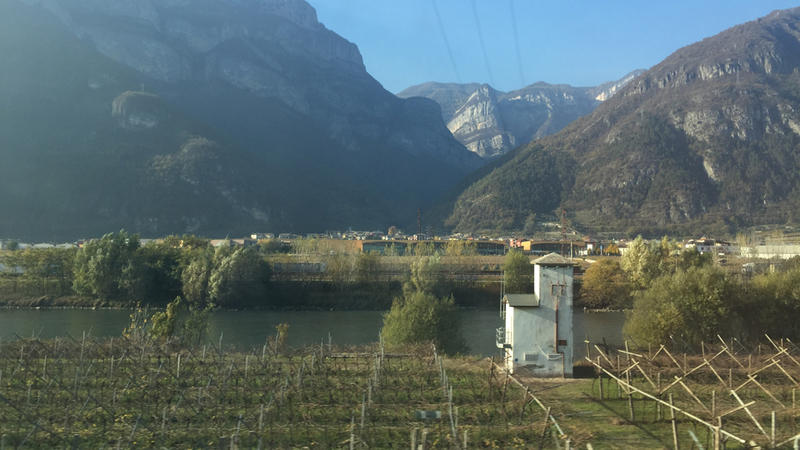 Italy’s vast wealth of native wine grapes that essentially don’t grow anywhere else, plus its long history of sweet wine production, ensures that no other country in the world offers so many varied and delightful choices in the sweet red wine category. Every Italian region offers at least one potentially world class sweet red wine; even better, a very broad spectrum of wine styles exist, including delicious light-bodied fizzy red sweet wines that have only 5.5% alcohol, thick rich reds clocking in at 16%, and fortified wines too (vino liquoroso, in Italian), that are not unlike some Ports. Generally speaking, Italian wines made with late harvested grapes are labeled Vendemmia Tardiva (late harvest, in Italian) and are lighter-bodied, more perfumed and less sweet than those made with air-dried grapes and labeled Passito (which is a contraction of the Italian word appassito, meaning withered or dehydrated.) Just be aware that in Italy the term Vendemmia Tardiva is used much less precisely than it is anywhere else in the world, and that Italian producers tend to refer to almost all sweet wines as Passitos, even when they are not made that way. Last but not least, the sweet red wines of Italy differ greatly not just in aromas, flavor and texture profiles, but also in price, ranging from extremely inexpensive (the equivalent of what you’d pay for an entry-level Prosecco) to quite pricey (more or less what you’d pay for a good quality Sauternes). In short, when it comes to sweet red wines, there is something for every wine palate and wallet out there. 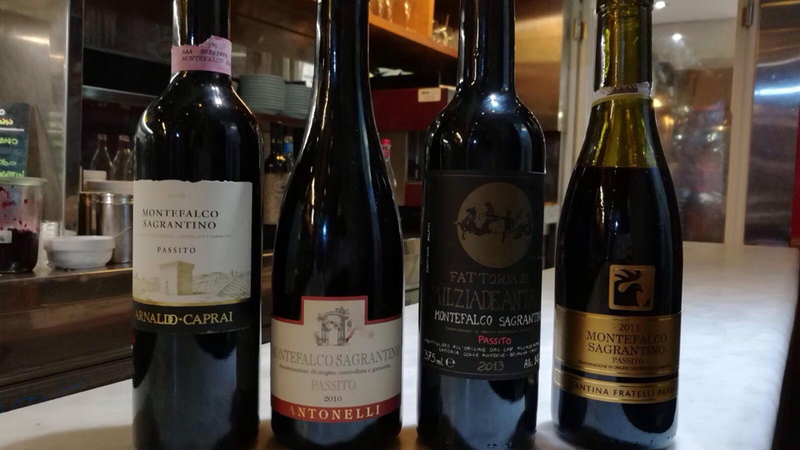 Clearly, Italy’s wealth of diverse terroirs and grape varieties only adds to the plethora of sweet red wine choices. Though you will often hear or read that sweet wines are only or mainly about technology, it’s really not so. Clearly, all sweet wines derive from a process of raisining grapes that allows for evaporation of water and the concentration of the other molecules within grapes, such as sugars. It makes a big difference whether grapes are late harvested or air-dried and on how one proceeds to go about the dehydration process (for example, out in the open, in temperature and humidity controlled environments, or in winery attics with the windows left open). The length of the dehydration process also matters greatly: logically enough, the must of grapes air-dried for only two weeks will be rather different from that of grapes air-dried for four months. Generally speaking (very generally), the relationship between amount of water lost via evaporation and increase of sugar in the grape berries is fairly direct, and so when grapes lose 30-40% of their water content, their sugar content will rise by roughly one third. However, total acidity and the concentration of other molecules (all of which have noteworthy impact on the smell, taste and texture of a finished wine) have very different kinetics (differently from sugar accumulation, in grapes dehydrated by 40%, total acidity will drop only by 25% or so). The late harvest and air-drying processes also lead to the switching on or off of specific genes that causes different metabolic pathways to be activated leading to the formation of diverse molecules, and both their nature and their quantity will differ on whether grapes are late harvested directly on the vine or picked early and air-dried (see below for more about this). Today we know that other factors, such as the grape variety used and specific terroir in which grapes grow have a direct effect on what the finished sweet wine will be like. For example, it’s completely pointless to expect a sweet wine made with Sagrantino to taste like one made with Malvasia di Casorzo or Aleatico; in fact, these three grapes give completely different dry wines too. Using more or less the same viticultural and winemaking techniques to produce a late harvest wine from Black Muscat and another from Malvasia di Schierano will still lead to completely different sweet wines. Furthermore, some red grapes seem to have a genetic affinity for dehydration and give much more interesting, complex wines than others will: so with Corvina you get world-class, unique air-dried wines, while Cabernet Sauvignon or Merlot, are frankly much less interesting. Terroir, or the environment grapes are exposed to, also plays a major role in dictating what a finished wine will taste like. 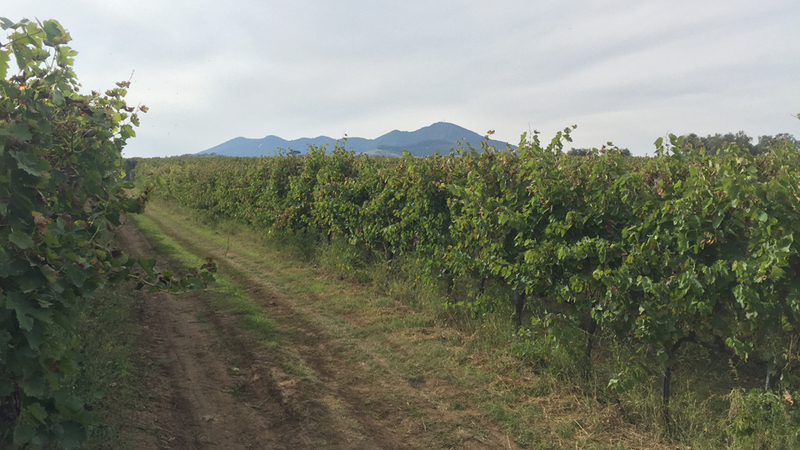 For example, an air-dried Aleatico wine made with grapes grown on the Elba island will be very different from one made with grapes grown on Lazio’s lake Bolsena or in Puglia (and such differences easily become obvious to all those who taste these wines regularly). In ultimate analysis, all of the above is hardly surprising: after all, not all raisins look or taste the same, and logically enough, neither do the wines made from them. 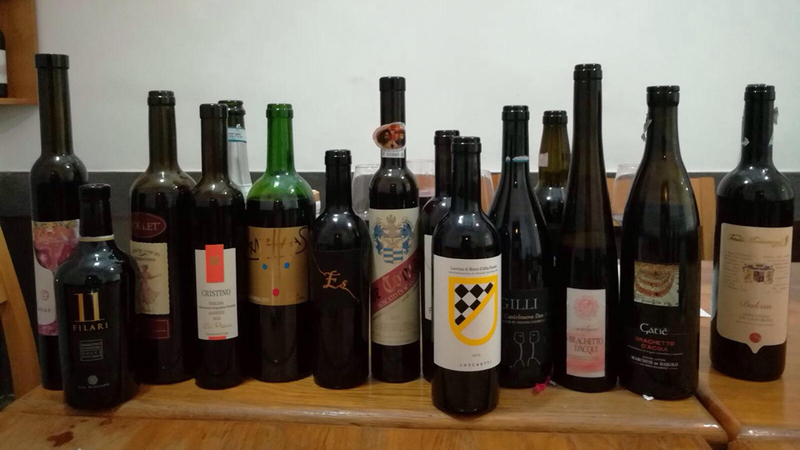 Some of Italy’s sweet red wines, such as Recioto della Valpolicella and Primitivo Dolce are more or less well known to experts and public at large. Others such as Moscato di Scanzo, Malvasia di Castelnuovo Don Bosco and Aleatico are very little known outside of Italy but are marvelous wines and deserve to be more famous and sought after. Unfortunately, in a sign of these sorry times, sweet red wine sales (and of sweet wines in general) have been falling everywhere, as modern lifestyles preclude indulging in these sweet nectars at the end of a meal (especially when one has to drive afterwards). Some sweet red wines are just too sweet and rich to be had during the course of a meal, further limiting their use. 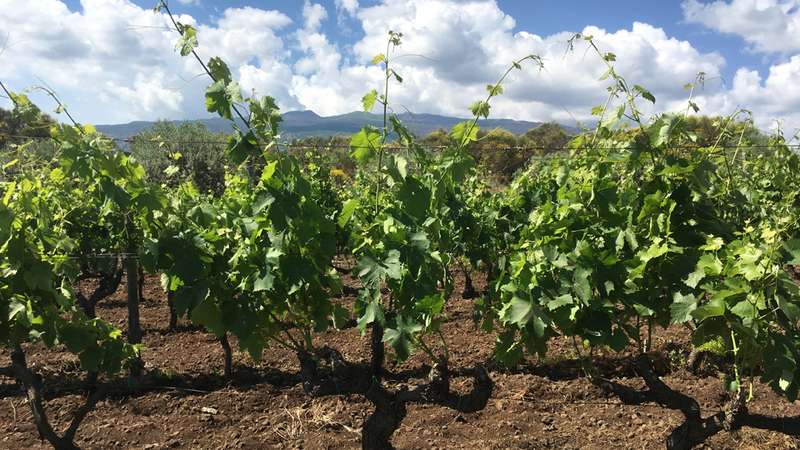 A logical but unfortunate consequence of this situation is that areas once famous for their sweet red wine production such as Puglia and Valpolicella are now increasingly turning their attention to other wines that sell better. So for example, not just the quantity of sweet wine production has fallen in these areas, but the quality of the wines as well. Many producers I talked to in Valpolicella aren’t even making Recioto every year, as they still have plenty of unsold stocks lying in their cellars, which is a shame. By contrast, those areas where producers do not have a more famous, better selling dry red wine to push are still producing lovely sweet red wines that are often a steal for the prices asked. Look for the delightfully light bodied and intensely perfumed sweet red wines of Piedmont made with Malvasia di Schierano (the wine is called Malvasia di Castelnuovo Don Bosco), Malvasia di Casorzo (the wine is called simply Casorzo, or Malvasia di Casorzo), Brachetto and Brachetto Passito, all of which can range from very low in alcohol (5.5% alcohol at most), lightly sparkling and very Prosecco-like (of course, red Prosecco does not exist) or sweeter and more luscious; the incredibly fragrant and creamy Moscato di Scanzo or Valcalepio Moscato Passito wines (both made with the rare but high quality Moscato di Scanzo variety) from the area surrounding Bergamo in northern Lombardy, which ranks amongst Italy’s best if least known wines; the much richer, thicker Lacrima Passito wines of the Marche and those made with Aleatico on the Tuscan coast (especially the Tuscan islands such as Elba), in Lazio (near lake Bolsena) or Puglia. Of course, for those who really can’t do without tannic power and size, it’s hard to beat a good Sagrantino Passito or Recioto della Valpolicella, of which there are still some truly marvelous examples being made (and recently, some very disappointing ones as well, unfortunately). The wines in this report were tasted either at the wineries or in my office in Rome between March and July 2017.